Members of a drugs enterprise which centred on a Cambridgeshire family have been ordered to pay back nearly £2.5million in ill-gotten gains. Nine people, including three members of the Warden family, have had cash and assets seized under the Proceeds of Crime Act since they were jailed in December 2014. 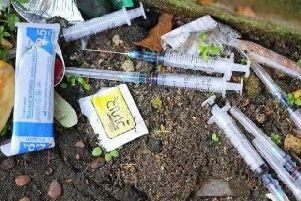 During their trial, Cambridge Crown Court heard the Warden family ran a heroin distribution network handling millions of pounds worth of the class A drug from the family home in Belt Drove, Elm, Wisbech. They obtained the heroin in significant quantities from dealers in the West Yorkshire area before coordinating others in distributing and selling it on. The operation was run by 42-year-old David Warden, with help from his mother Mavis, 65, and father Barry, 71. Following an investigation by the Eastern Region Special Operations Unit (ERSOU), they were each deemed to have benefitted by £608,000 from their crime, however, confiscation orders were made (through cash and/or assets) of £210,000 for David, £36,335 for Barry and £922 for Mavis. Assets seized have included a Rolex watch belonging to David worth more than £3,000, Barry’s blue Ford Transit van and two food/refreshments vans. The shortfall for each will remain as a debt to be re-paid when they are able. David was jailed for 12 years, while his parents, who were jailed in May 2005 for a similar drugs conspiracy run from the same address, were sentenced to six years and nine months, for Mavis, and three years and 364 days for Barry. All three had pleaded guilty to conspiracy to supply class A drugs at an earlier hearing. A key figure on the West Yorkshire side of the network, Azad Yaqub, 32, of Silverhill Road, Bradford, who was jailed for nine years, benefitted by £227,430 and a confiscation order of £72,670. Another working to supply the Wardens was Mohammed Idris, 36, of High Street, Dewsbury, who was jailed for six years and six months. He was found to have benefitted by £36,000, identical to his confiscation order. * Ayleasha Bennett, 30, of Albany Walk, Peterborough, who was jailed for nine years, benefitted by £255,000 and had a £3,881 confiscation order. * Chanel Bennett, 21, of Bedford Court, Thorney, Peterborough, who was jailed for three years and nine months, benefitted by £38,580 and had a £100 confiscation order. * Geoff Witney, 40, of Albany Walk, Peterborough, was given a 12 months sentence suspended for two years for money laundering. He benefitted by £16,940 and had a £11,106 confiscation order. * Mohammed Anjam Yaqoob, 34, from West Yorkshire, who was jailed for eight years for conspiracy to supply class A drugs, benefitted by £75,000 and had a £4,538 confiscation order. The total benefit was £2,472,950, of which £375,553 was subjected to confiscation order. In addition, Ayleasha Bennett, Yaqub, and Idris were made the subject of Serious Crime Prevention Orders, which will place them under strict restrictions for five years after release. Any breach can result in up to five years’ imprisonment. David, Barry, and Mavis Warden were arrested on January 27, 2014, in Belt Drove. During a search of the property and surrounding area using search dogs, a bag was discovered containing 5kg of heroin. An estimated £4 million worth of class A drugs had been handled by the network during the course of the investigation, which ran from September 2013 to June 2014. DI Chris Day, from ERSOU, said: “This case shows that serious crime not only results in substantial prison sentences for those involved but also a demand to re-pay the financial benefits of that crime. Senior investigating officer Detective Chief Inspector Becky Tipping, from Cambridgeshire police, said: “The Wardens were running a significant drugs distribution enterprise from their home and directed others who shipped in drugs from West Yorkshire to be distributed in Cambridgeshire. They were making significant amounts of money and blighted the lives of local communities, which is why these results are so satisfying.